MASTER KONG NAY - Kampot Writers Festival 2017 "Courage" Kampot Writers Festival 2017 "Courage"
The return of the Master! 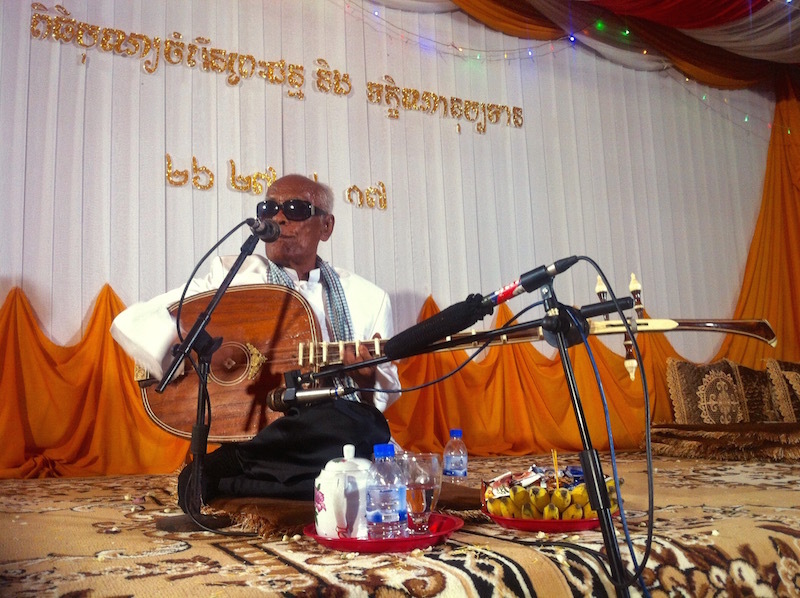 One of our debut festival highlights was an unforgettable concert by Master Kong Nay headlining at KRWF15. Don’t miss this event. Kong Nay’s incredible ‘chapei dong veng’ is a form of ancient troubadour style poetry, a kind of ‘freestyling’ verse sung across the bluesy, antique 2-string Cambodian long-necked lute. Chapei is a form of improvised poetry and music that predates the Buddha’s enlightenment and the Master himself is a UNESCO-listed intangible living treasure. 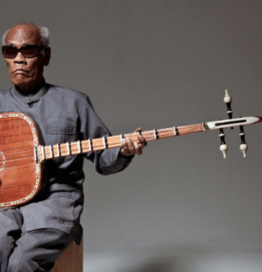 Earlier this year, Master Kong Nay, sometimes referred to as the ‘Ray Charles of Phnom Penh” for his uncanny resemblance to the American singer, was awarded Japan’s Fukuoka Arts and Culture Prize for his work in reviving Cambodia’s centuries-old art form of chapei dong veng.